Autumn Greetings from Sims Hill! We hope that you are having a pleasant and productive Autumn season! As our head grower, James Adamson said the other day, this is the best year ever for our Sims Hill veg! Harvest highlights include a glut of succulent squash, some sweet-tasting sweet corn, and our revolutionary rocket. 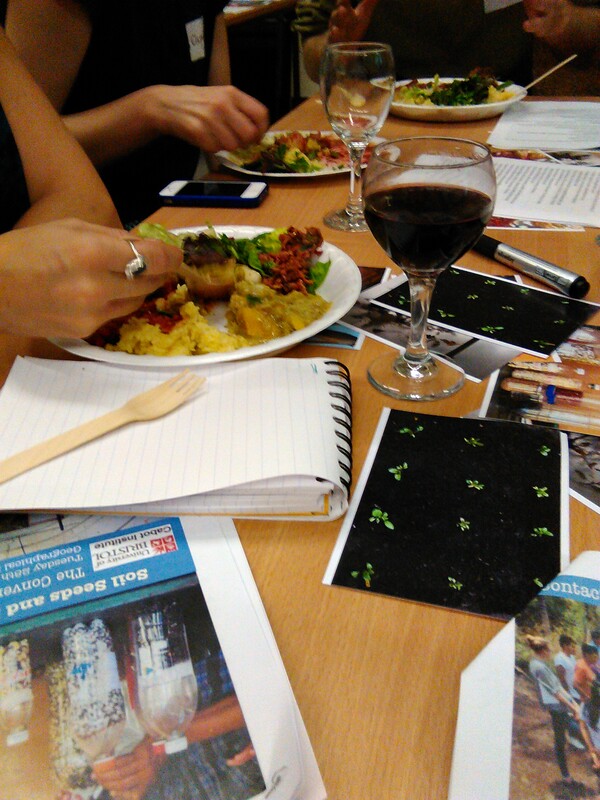 Our lovely veg have also become staple ingredients in some “Moveable Feasts” catered by the Bristol Hospitality Network, most recently as part of the final Seeds, Soil, and Social Change Workshop at the University of Bristol. Read more about this innovative project on their website. You can see people enjoying the meal, including the killer “Sims Hill bhajis” (pictured on the left). Something else that we are really excited about is our new “naturally built” packing shed, which is going up on the Sims Hill field as we speak. Come and learn Natural Building skills by helping us finish the build! We’re looking for people who would like to volunteer in exchange for learning and lunch. 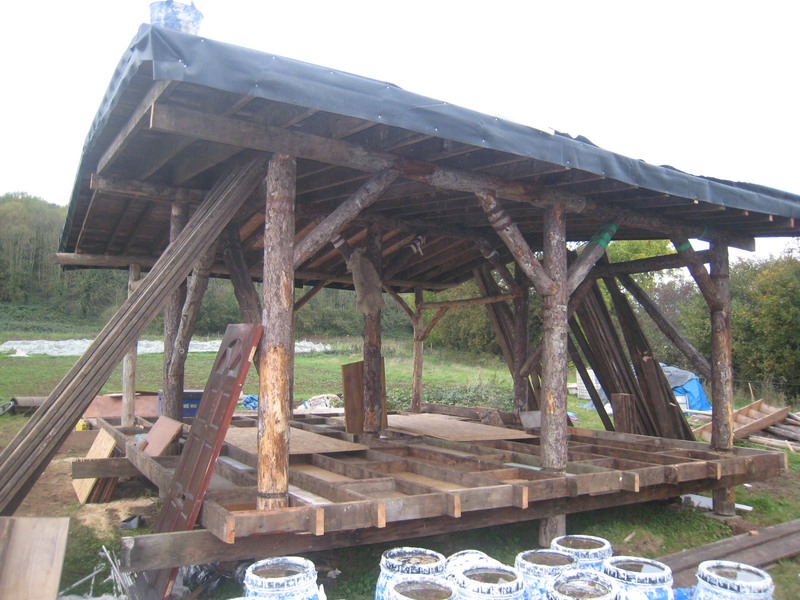 Paddy and Simon have run a number of natural build projects including at Youth Moves in Knowle, and the roundhouse at Feed Bristol. This is three weeks in to a six week build, with the main structure up and ready for the next stage. We’ve had plenty of volunteers days to help the build happen, learning about low impact building and having fun in the (mostly) sun. If you’re interested please contact Paddy at 07758 866802 or Simon at 0754 0741811, or email simshillsharedharvest@googlemail.com to arrange schedule and meeting place. And last but not least, we need new members! Find out more about how to join us here!